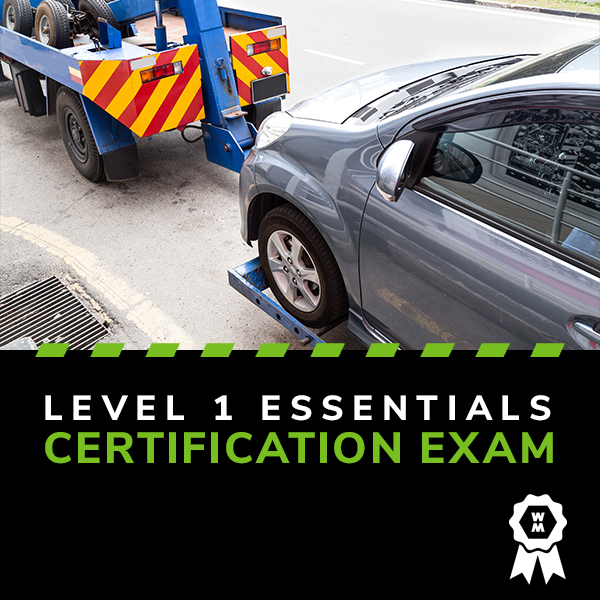 WreckMaster’s Level 1 Essentials certification is proof that you’ve got a strong foundation in safety and understand the fundamentals of light-duty towing. Details: The exam, which is entirely online, is “proctored,” meaning we’ll be able to verify that you took the exam and came by your answers honestly! This verification makes WreckMaster’s certification the highest standard in the industry, inspiring confidence in employers, auto clubs, towing associations and those who issue towing contracts. 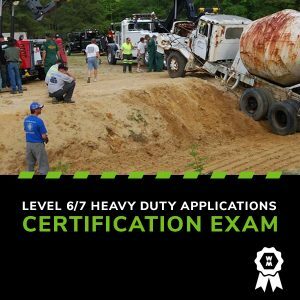 Pass the certification exam and we’ll mail you an official WreckMaster photo ID card. You can also immediately print your certification certificate. 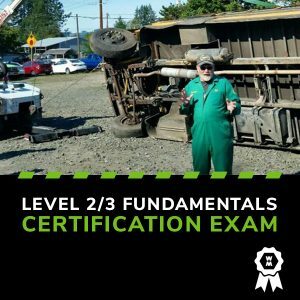 WreckMaster certification is valid for three years. 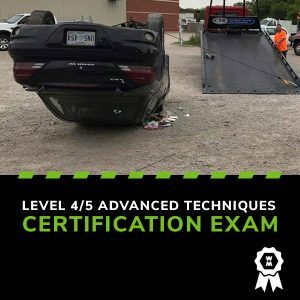 Who should take it: Level 1 Essentials certification is an excellent choice for all tow company team members, as it demonstrates critical safety knowledge and an understanding of the job requirements of fellow team members. Tow company owners with a team that is Level 1 Essentials certified will be eligible for high profile towing contracts, as well as reducing their risk and increasing customer satisfaction (which may be reflected in reduced insurance rates). Format: This is a proctored online exam, which means we’ll confirm it’s actually you taking the exam and will make sure that you don’t get any extra help to answer questions (e.g. by asking a co-worker or searching the internet). Get started: Once you’ve purchased the online exam and we’ve processed your order, you’ll receive an email from us with instructions and a link to get started.